Mom's Gone Bronson! 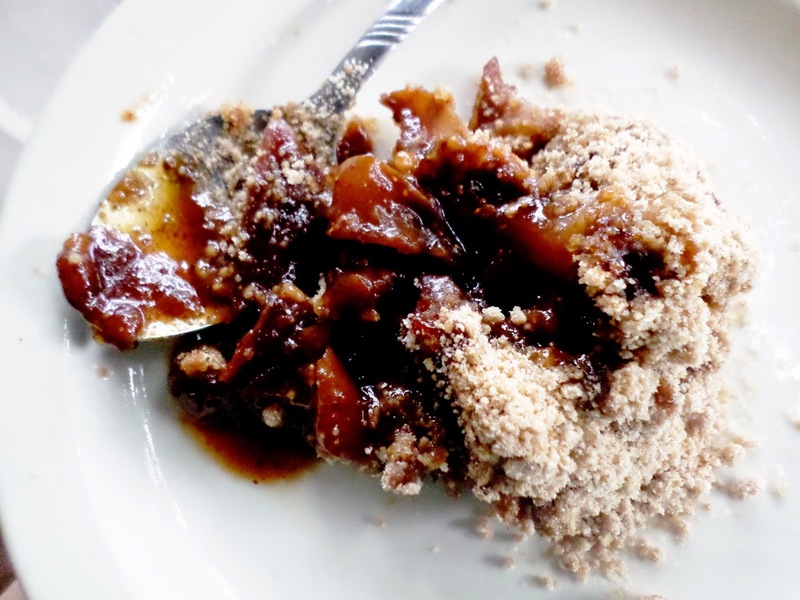 : Apple Crumble Crisp with Grandmother's Fig Pastry Filling! Yum! Apple Crumble Crisp with Grandmother's Fig Pastry Filling! Yum! 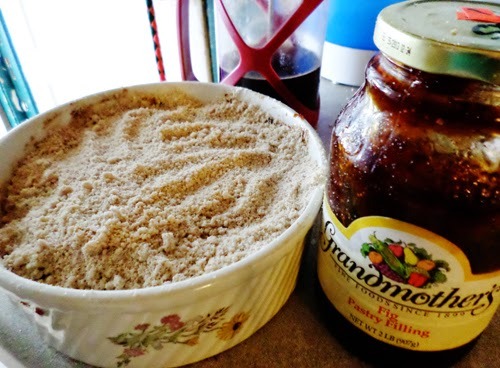 I picked up this jar of Grandma's Fig Pastry Filling, while out shopping a couple of weeks ago and yesterday I felt like making an apple crisp! Usually I put in a little sugar to sweeten the apples but I was out of sugar and decided to use just a couple of spoonfuls of the pastry filling on the apples instead, which turned out to be AMAZING! I literally just sliced up 4 apples, threw them in a baking dish, mixed in a couple of spoonfuls of the pastry filling and then covered in a crisp/crumble top, which you can make from scratch or buy in a packet from the store! 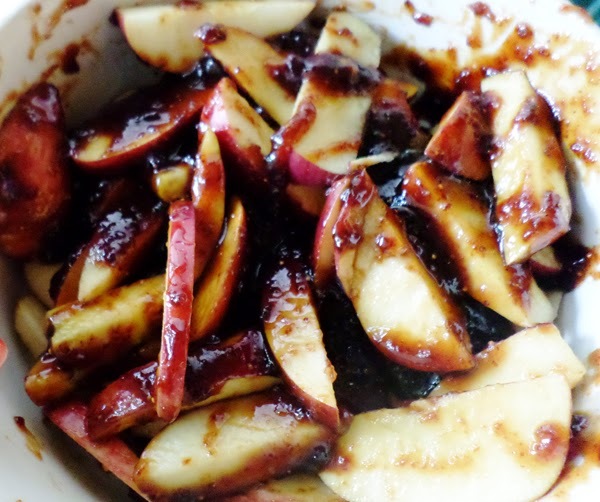 Throw it in the oven for 20-30 mins at 325-350, or until the apples are soft! The taste was just out of this world and I definitely feel like I hit the jackpot! Everyone loved the apple and fig crumble and I think I see another in the near future! Mix up your apple pies, crisps and a crumbles this summer - let me know what combinations you love best! You really can use anything! Apple and Strawberry? Apple and Blackcurrant or something completely else? Drop me a line so I can give them a try! Your recipes always look so yummy. You should do more recipes!